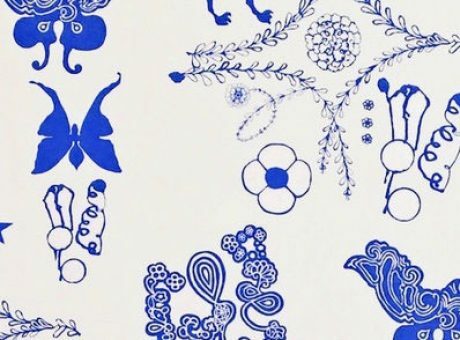 Hey, welcome to the latest edition of The Kitchen Sink, which is my category for posts that have nothing to do with my gray hair transition, but everything to do with everything else. There is nothing I like better than to wake up early on a weekend morning and bake scones, cookies or pies for my family. This often occurs to the detriment of the other things that I NEED to do, but I find baking relaxing. It’s an anxiety reducer for me, and one of the few things I do that doesn’t require a screen of some kind. I go into my kitchen, while everyone is asleep, and I turn on my local classical radio station, and I enjoy the quiet before my teenagers, husband, and pug wake up. Pure heaven! 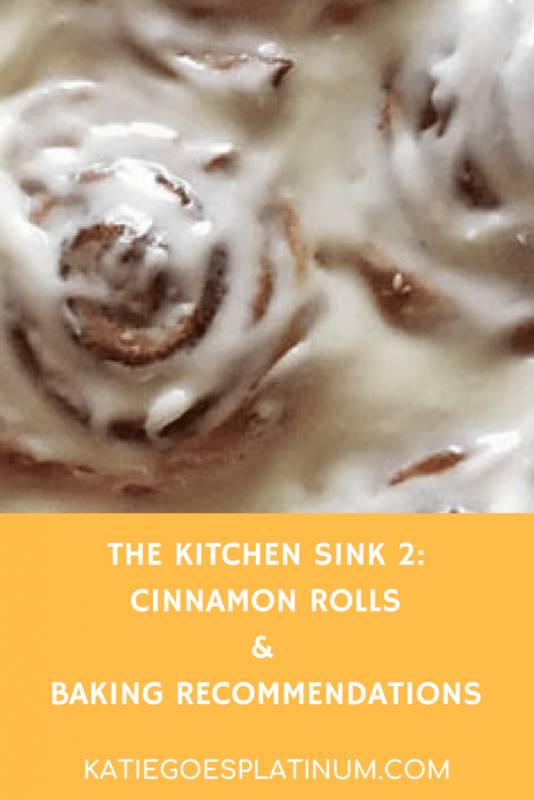 This weekend, I’m making cinnamon rolls. I make the dough in a bread machine, but you can most likely adapt the recipe to knead the dough by hand. A word about bread machines: I almost never use them to bake bread. Instead, I prefer to only use the Dough setting. That way, I can control the shape of the loaf. There are many doughs I make by hand, but nothing beats the convenience of tossing all your ingredients in the bread machine, setting it on the dough setting, and an hour and a half later (approximately) continuing on with your recipe! My bread machine is so old that you can’t buy it anymore, but it’s an Oster, and their current model looks very nice! Here is the recipe, and I am confident you will LOVE it. Place all ingredients in bread pan, select Dough setting, and press start. Once the machine has beeped and the dough cycle has ended, turn the dough out onto a floured countertop. Using a rolling pin, roll it into a 9 x 18″ rectangle. Lightly grease a 9″ x 13″ pan or 2 round cake or pie pans. Brush the melted butter over the rolled-out dough. Then, sprinkle the sugar/cinnamon mixture all over the dough. Gently roll the long edge of your dough until the dough is completely rolled up. Using wet fingertips, pinch seams to seal. Use a bench scraper or dental floss to slice the dough into 1 1/2″ sections. 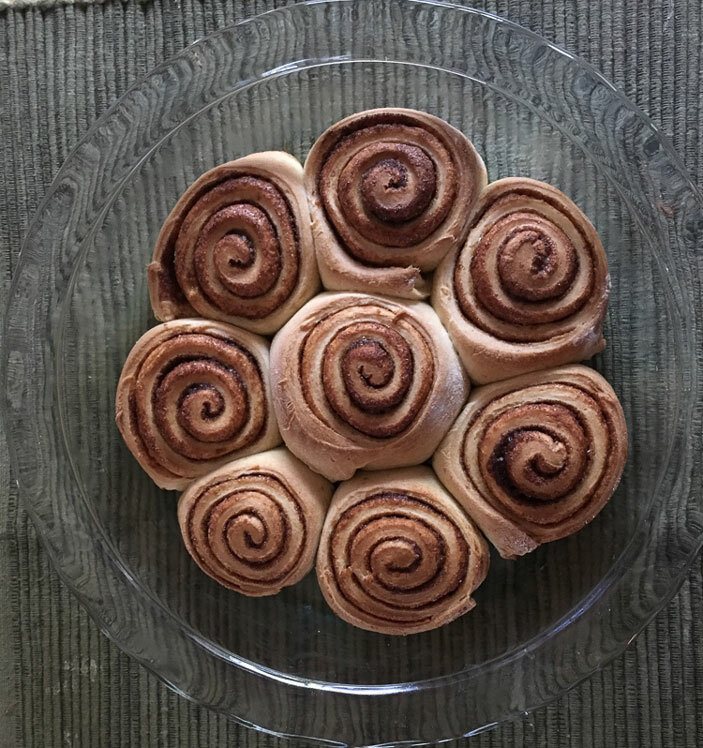 Place the cinnamon rolls cut side up on your pan, and use your palms to slightly flatten them. Cover and let rise in a warm oven for 30-45 minutes or until doubled. Remove the pan(s) from the oven. Preheat the oven to 350°. Once the oven has reached the right temperature, bake the rolls for 25-30 minutes until golden brown. 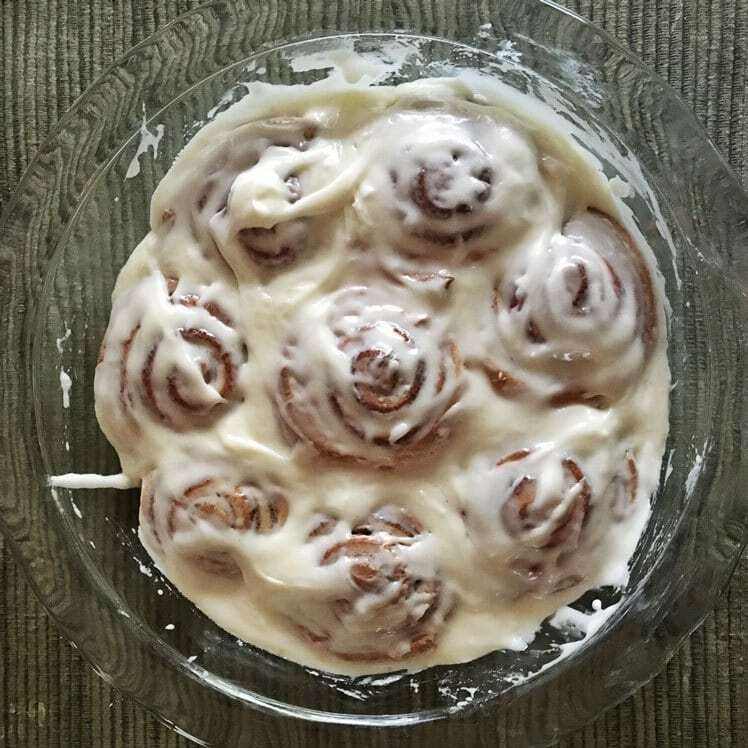 While the cinnamon rolls are still warm, spread with icing. I prefer stainless steel or aluminum measuring cups and spoons, as the measurements are usually etched on, so they don’t disappear after repeated washings. These measuring spoons are nice and sturdy! I use this digital scale to make sure I’m getting precise measurements. Have you checked out King Arthur Flour’s website and Instagram? They have excellent products and tons of wonderful recipes. Every month, I try to participate in the King Arthur Flour Bakealong. 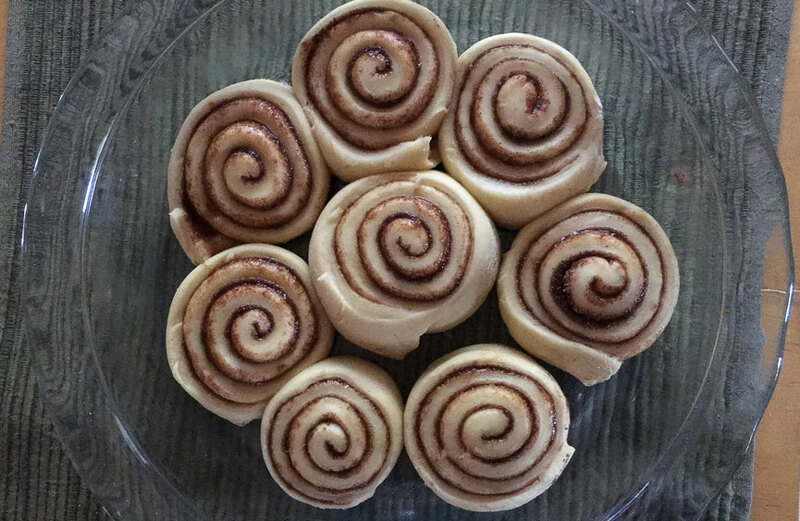 Everyone posts their baked goods on Instagram afterward, and it’s fun to see the results. This year, I managed to make this beautiful Cinnamon Star Loaf and this Challah, which I used to make this amazing French Toast! That’s all for today’s edition of The Kitchen Sink!